← Bryon Stack of Gasser Madness R.I.P. The Gasser community has lost another Great Gasser Legend today. Al Zerberini passed away due to health complications this morning. Al raced the 1940 Bee-Line Willys out of the Bee-Line Automotive shop in Stamford Ct.
Al started racing the Willys in 1960.He won the US Nationals A/Gas class in 1960 at Detroit Dragway.He continued to race the Willys through 1968. 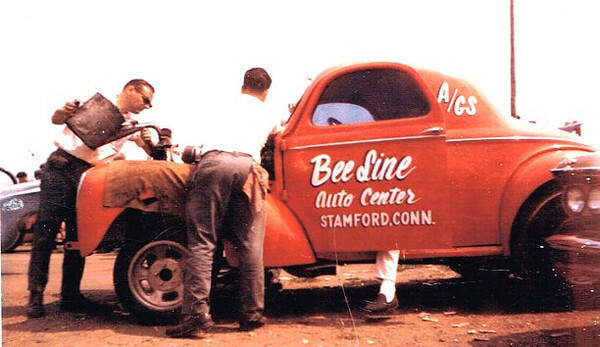 Al was also a very successful business man with Bee-line Auto Center and a great family man. Al was a “Living Legend” on the East coast. As most of you know, I own the original Bee-Line Willys that Al raced. It still retains most of it’s original paint from the 60’s. He will be missed by all of the Gasser family.